Norwegian based OLEX AS, the manufacturer of complete systems for navigation, plotting and 3D seafloor mapping, is pleased to announce that OLEX 11.5 is now released and available as a free download or through your local Olex dealer for an upgrade of your system. After years of research, development and testing, OLEX AS has developed and keeps refining the most comprehensive seafloor topography mapping system available on the market. OLEX systems are based on Linux, and are considered to be the most stable systems of their kind available on the commercial market. Speed, flexibility and user-friendliness are important keywords to explain their success. OLEX can use official and unofficial vector charts, in S57, shape and SOSI format, from Hydrographic Offices and commercial vendors. 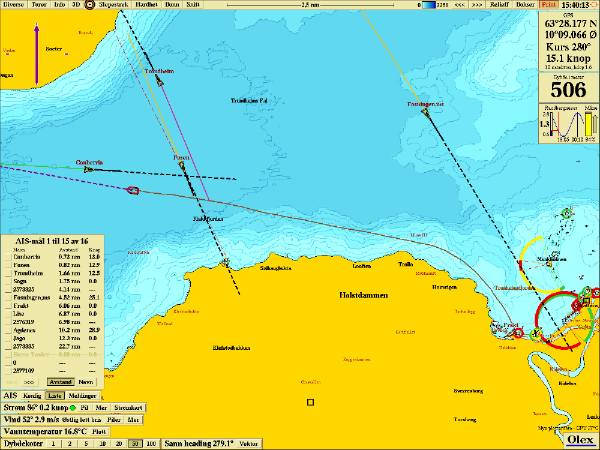 The navigation charts are displayed alongside the collected seabed data and the chart visualization software will, always strive to achieve a clear and informative chart image and prevent the screen from filling up with unnecessary information, by displaying only information relevant to the current zoom scale. Zooming and chart display are fast, easy and seamless.